Programmable Multi-Channel PMIC Solution for Intel Baytrail Atom? 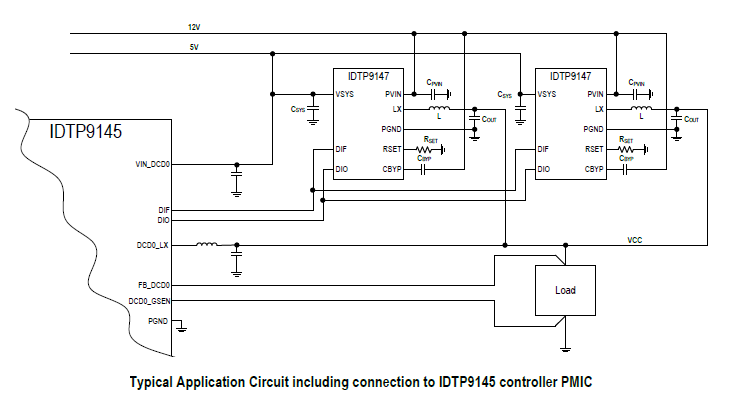 The IDTP9145 is a programmable, multi-channel power management IC (PMIC) designed for the Intel? Baytrail Atom? SoC to meet high performance requirements and provide high-feature integration to minimize system board area and BOM cost. The PMIC includes subsystems for voltage regulation, power sequencing management, A/D conversion, GPIOs, PWMs and others. The IDTP9145 is factory programmable for application specific sequencing and output voltage requirements. The device supports the serial voltage ID (SVID) interface for VCC, VNN & VDDQ (optional). The output current capability of the IDTP9145 solution can be increased by adding IDT’s intelligent, scalable, distributed power units (DPU) IDTP9147 and IDTP9148.